If you love Danner boots, our guess is you are a “quality over quantity” kind of guy. Well, you’re a good match because the folks at Danner believe that one good, quality pair of work boots should easily outlast three of the others; and so they made the Danne ... (see full details) (see specifications) #16281. If you love Danner boots, our guess is you are a “quality over quantity” kind of guy. Well, you’re a good match because the folks at Danner believe that one good, quality pair of work boots should easily outlast three of the others; and so they made the Danner Men’s 16281 Workman 6-Inch Brown Waterproof EH Boots. With durable leather uppers and tough Vibrams outsoles, you will soon see why Danner footwear has such a strong following. Lighter than those who came before it, these Workman leather boots are ready to work and are sure to get the job done. Weighing in at only 55 ounces, the latest version of the 6-inch Workman men's boots are 13% lighter than the originals, thanks to new nanotechnology used to create the comfort features of the interior of the EH boots. The exteriors, however, remain the same. You just don’t fix something that’s already perfect. The durable, waterproof, oiled full-grain leather uppers have all the natural suppleness and abrasion resistance of full-grain leather, the best cut for work footwear. When it comes to leather, full-grain is the best choice, and Danner will not settle for anything less. The rugged Vibram Workman outsoles are both slip- and oil-resistant, with low lug profiles for added comfort. The classic Goodyear Welt construction joins these two parts with a durable, flexible union that's also replaceable, when the miles have finally shown on the outsoles (after many, many miles, we might add), a skilled shoe repairman can replace these outsoles and breathe new life into this smart investment. These soft toe 6 inch waterproof boots are also electrical hazard protected ASTM F2892-11 EH rated to give you additional protection. These six inch leather waterproof boots are more like a side kick than a pair of men's boots; you’ll have these for so long you’ll forget what life was like before you met. Your feet will thank you, too, since these ultra-durable Danner brown boots are also ultra-comfortable. The 100% waterproof GORE-TEX liners are built for moisture management and keep your feet dry from the inside out. Tiny holes in the membranes allow for sweat vapors to escape while the air flows around your feet, keeping them cooler and a lot more comfortable throughout the day. Meanwhile, these same holes are too small for water molecules to fit through (yep, we’re talking THAT small), so your feet are dry and happy from the inside out. The all-new Vibram SPE midsole is designed to absorb the impact of your steps, enhance rebound, and support your feet for all-day comfort. A lightweight Bi Fit board supports your heels by increasing the rigidity for stabilization, while still allowing the flexibility in the forefoot you need in order to move and work all day. 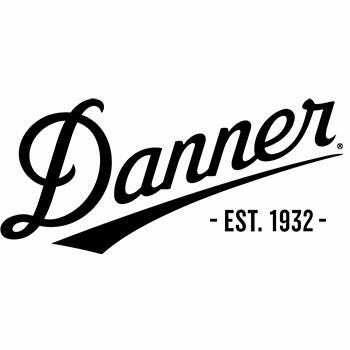 So when you want quality that's in a league of its own, choose Danner, a cut above the rest. These Danner Men’s 16281 Workman 6-Inch Brown Waterproof EH Boots from Working Person's Store are ready for anything your job has in store and will outlast the cheaper brands by far. Waterproof, lightweight, and comfortable, this men's footwear will make you a believer in quality over quantity again. Proudly made with ample toe room and a narrow heel, the stability and comfort of each step makes this pair a smart choice, and the durability over time makes them an investment in the future. So become a believer and try these Danner Workman boots. These boots are comfortable, with high quality leather (which is a really nice brown color) and waterproofed with Gor-Tex. They also have Electrical Hazard protection. I can work all day, on cement/concrete, with no problems. I do put my own orthotics in them, though. Overall, I would definitely recommend these work boots to anyone who is working on their feet all day. Danner Boots: Men's 16281 Brown Waterproof EH Workman 6-Inch Work Boots is being added to your cart.